Stephen McGinley is a professional Circus Skills Performer and Teacher. 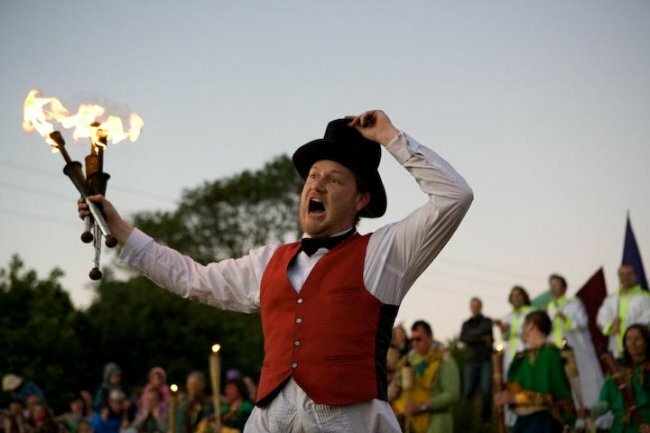 Performance highlights include Stiltwalking, Juggling with a wide array of props, including Fire Juggling, LED Glow Juggling Performance, Diabolo and Devil Stick. Services offered include Wedding Performances, Festivals, Night Clubs, Business and Event Openings. A series of workshops in Circus Skills are available for both adult and younger audiences. These educational, motivational and team-building programmes are carefully designed to be fun while being highly inclusive. Stephen has performed in every county in Ireland, and across the EU. Is féidir leis na seirbhísí seo go léir a sholáthar as Gaeilge. Féach ar ár rannóg as Gaeilge anseo. The range of Circus Skills workshops are suitable both for Schools and Youth groups. "We were delighted to have booked Stephen. His classes were really well prepared and there was great differentiation between the classes for the older and younger children. The children enjoyed each session thoroughly. We will be booking him again." - Fintan McCutcheon, Principal, Balbriggan Educate Together NS Dublin. Stephen is HSE certified for “Children First” child protection training. Stephen maintains up to date Garda Clearance certification. Both of these are available to clients on request.